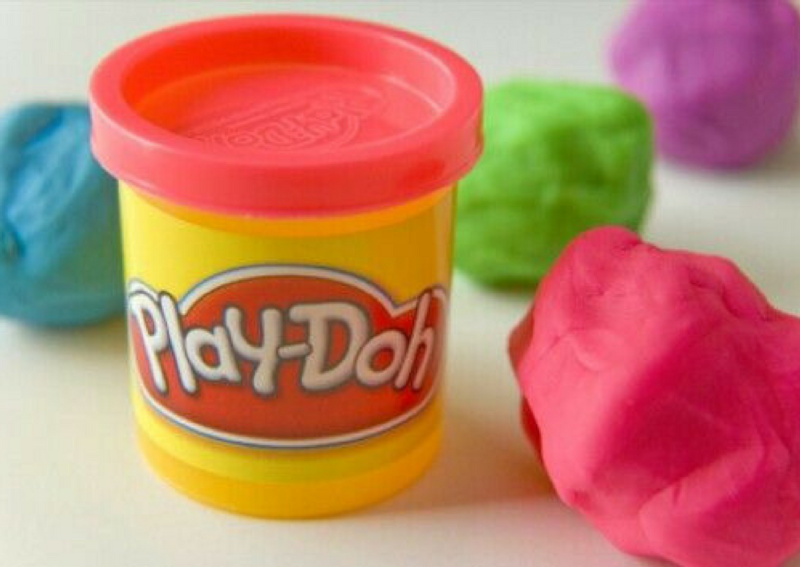 Play-Doh was one of the best toys ever. 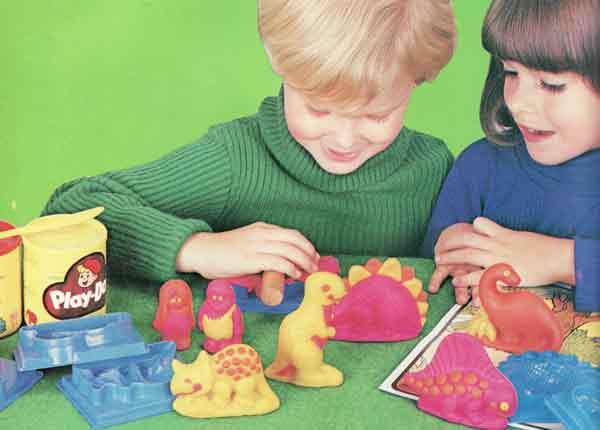 They had so many different sets that were so fun to play with and I know for certain you remember that smell. 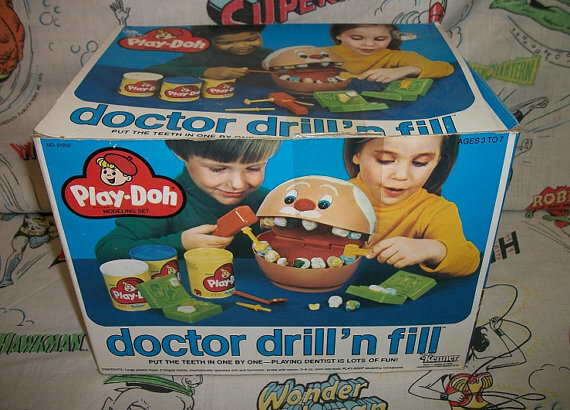 There were a few sets that were the most desirable of them all. 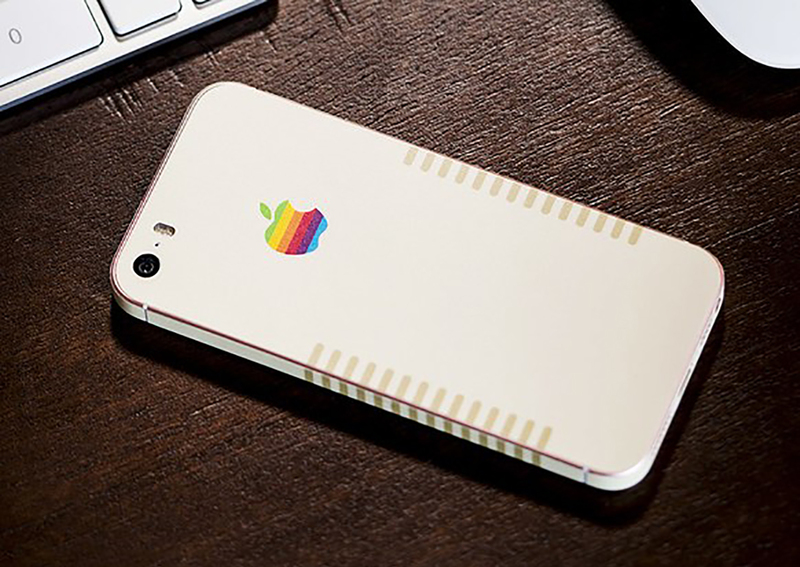 The best of the best, the top of our Christmas lists, or the things we wished for when we blew out our birthday candles. 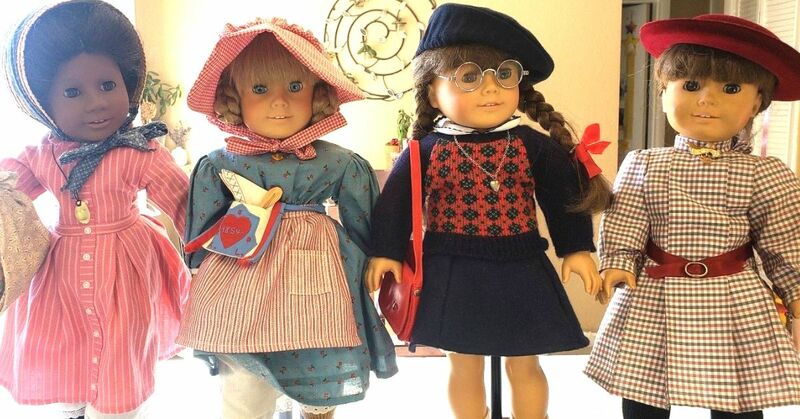 There are so many classic kits, let's see if you remember any of them! 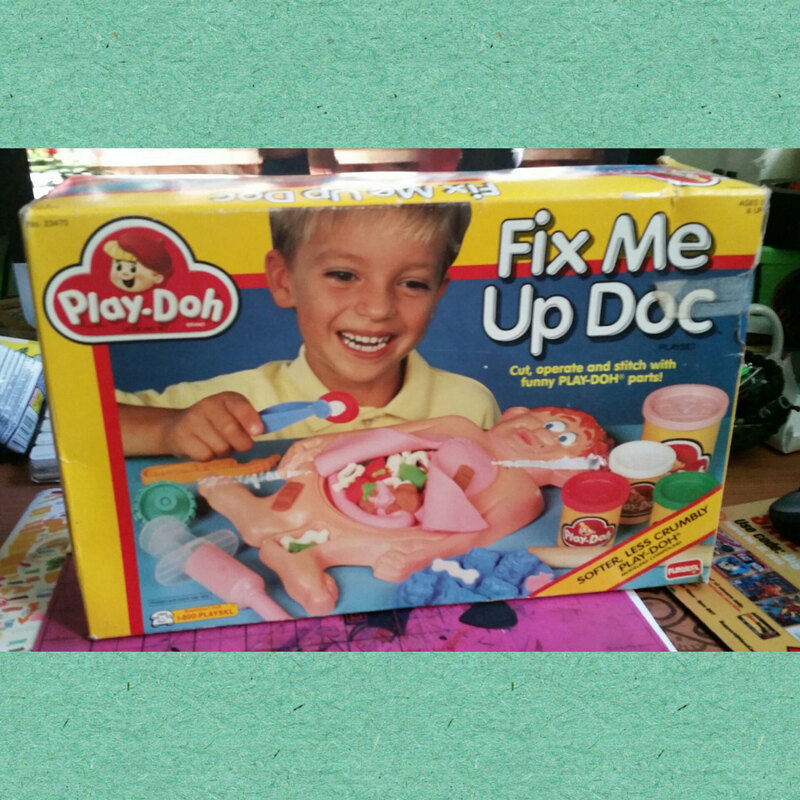 The weirdest thing on this box isn't even the open human with the child manically smiling while he pulls out his insides, it's that it says that the Play-Doh is not "Less Crumbly". 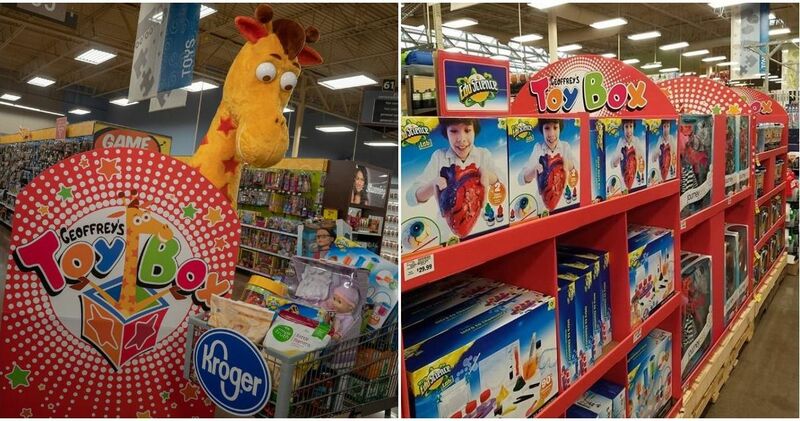 Did Play-Doh used to crumble? 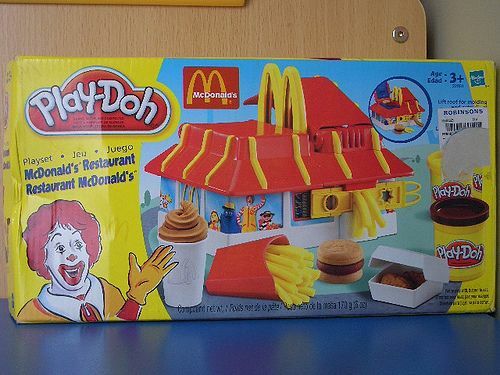 Well, we discovered the old McDonalds snack makers that were made out of real food, so it only makes sense there were Play-Doh versions too! 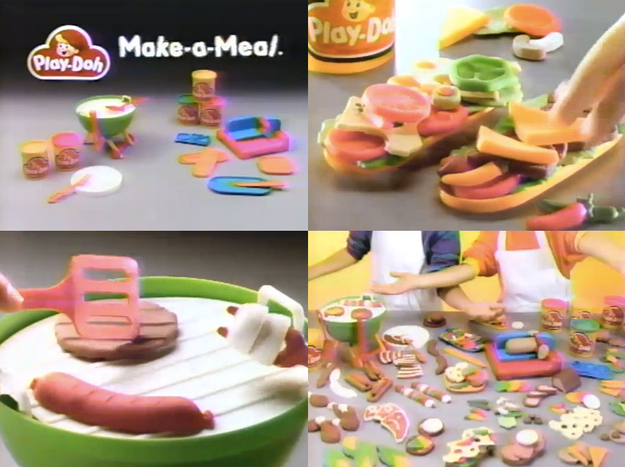 We always made our Play-Doh look like foods but you definitely were not supposed to eat them... fun to make though! 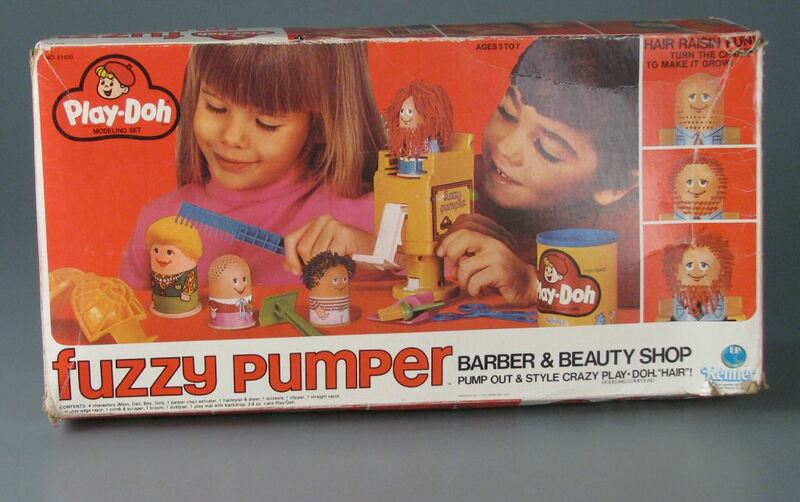 Would you go to a barber shop or hair salon called the Fuzzy Pumper? No... Me neither? The best thing is this one stuck around for a while and kept getting remade. It was super creepy though. Hair would sprout of of the head or beard and you could trim it down. 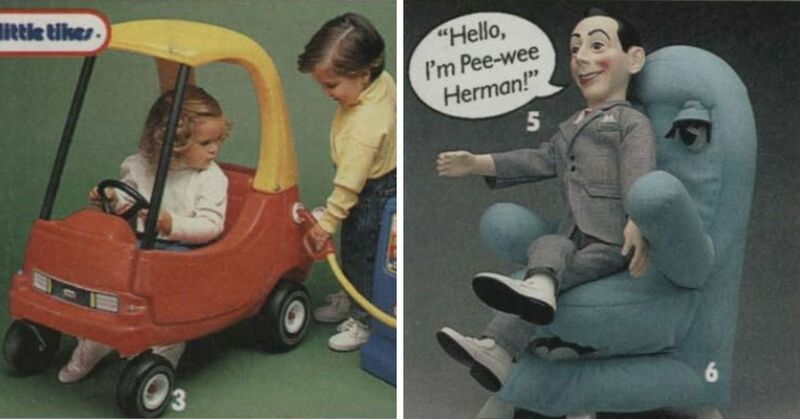 I mean, I say it was creepy but I always wanted one anyways! And yes, it does get weirder. What the? This thing is not normal... Seriously, watch the commercial, it's so weird! 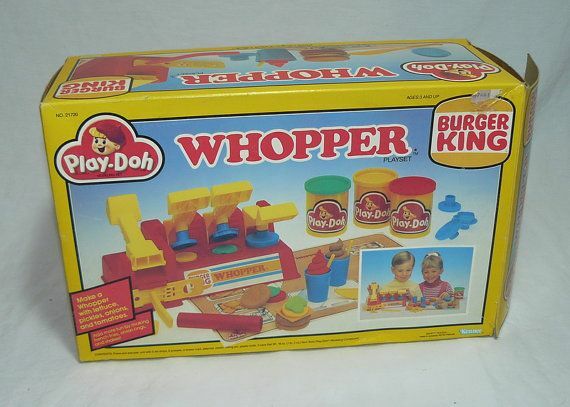 Similar to the McDonald's set, but for those who like a Whopper more than a Big Mac! 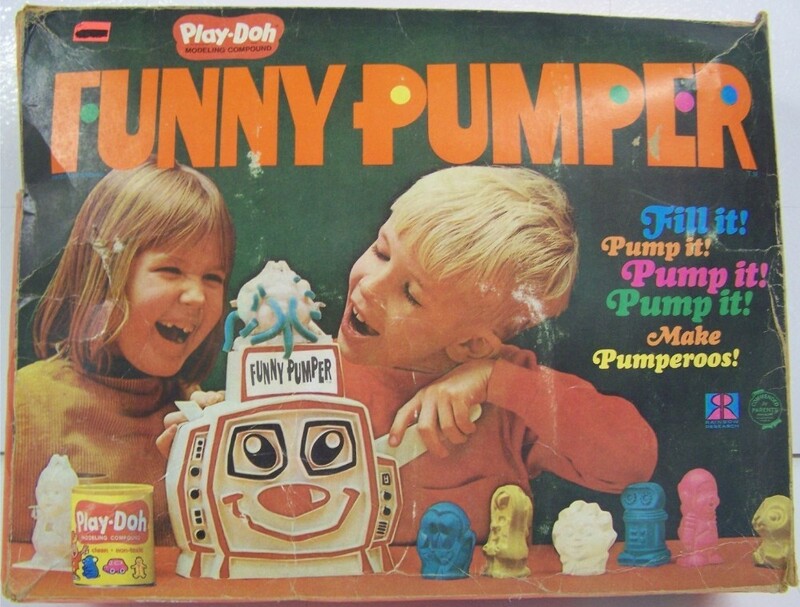 This thing just looks like a box full of nightmares. 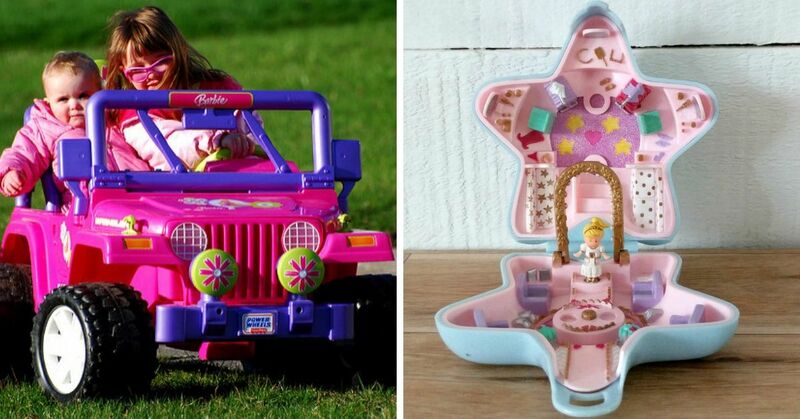 EVERYONE has either owned or played with one of these. 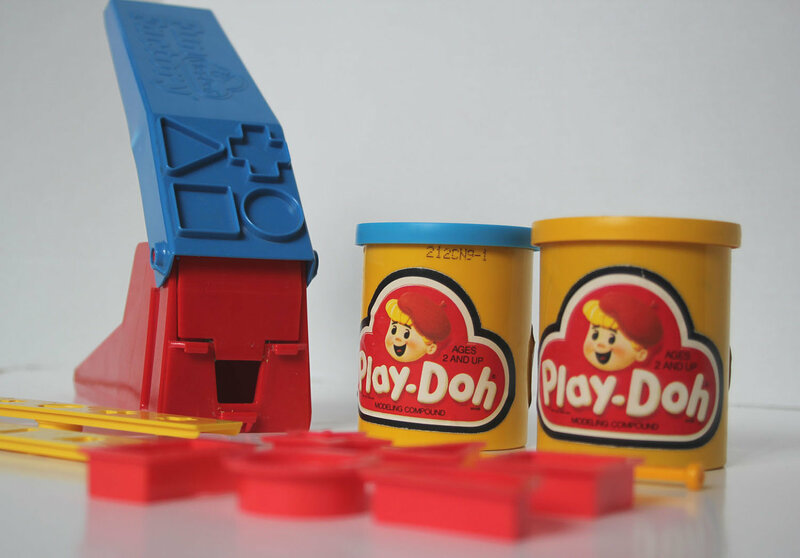 It just had the little put that would shoot the Play-Doh out of a little shape, but for some reason it was super satisfying. 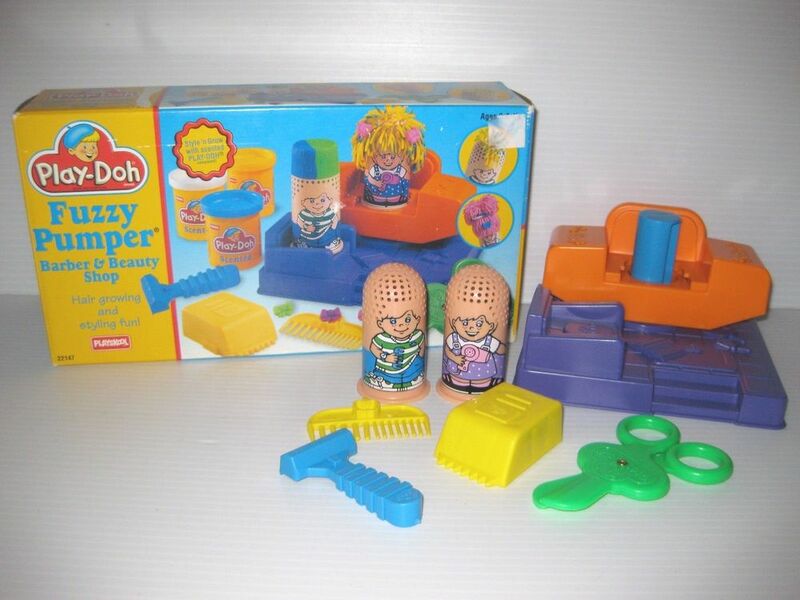 Who else remembers having on of these? 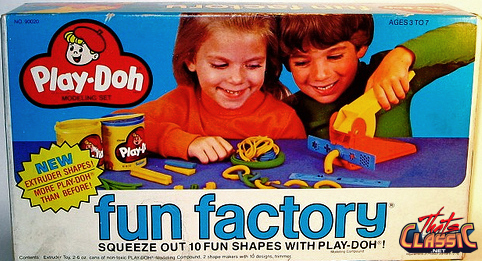 Which Play-Doh set did you have when you were a kid?